Thank you Axel! 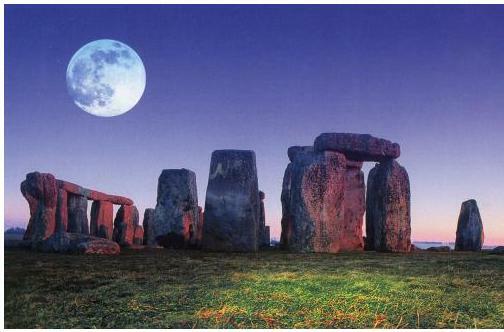 2012 stamp of the Salisbury Stonehenge on France's long running annual UNESCO issue. Thank you Ingrid for this postcard. Thank you Murray! Here is 1 UniversalMail international postcard rate stamp from a set of 5, each with a different black and white historical photo of Stonehenge. Wish I could have had a picnic when I visited! Were these only sold at the Salisbury English Heritage gift shop? The back of the strip booklet reads: 'A contribution from the sale of this product helps us to secure this spectacular and unique heritage for future generations to enjoy'. Possibly issued in 2009, based on this checklist. Although I am aware there are others.